Every time your eyes switch from a bright screen to a dimmer, ambient room, your eyes have to adjust, which may result in fatigue. 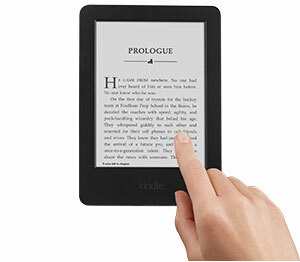 With Kindle, the page is the same brightness as everything else in the room, so there's no adjustment needed. Choose from eight text sizes to prevent tired eyes and keep you reading longer. It's even easier to find what you are looking for by combining and previewing results from your Library, Goodreads, and the Kindle Store on the same page. X-Ray's new timeline view lets you easily flip through notable passages to remind yourself of what's happened in the book, or navigate easily through images. 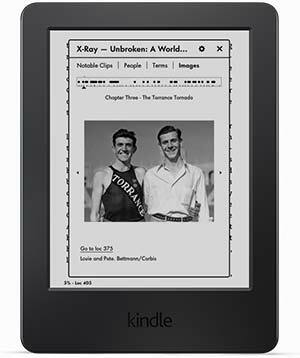 X-Ray lets you explore the "Bones of the Book." See all the passages across a book that mention relevant ideas, fictional characters, historical figures, places, or topics of interest. 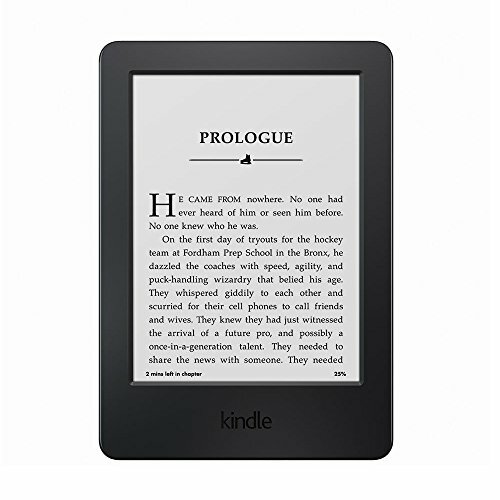 Shop Amazon's expansive selection, choose a title, and begin reading in seconds. Download books in under 60 seconds—no computer required. Connect easily to your home Wi-Fi network or Wi-Fi hotspots on the road. 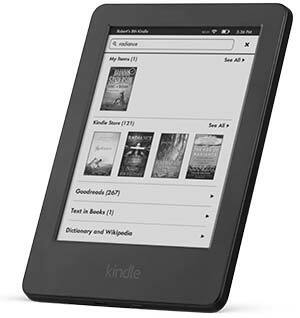 Enjoy free Wi-Fi access at AT&T hotspots across the U.S. With our fast, free wireless delivery, borrow Kindle books from your public library and start reading on your Kindle.